Haas is back with a brand new look. With new backing from Rich Energy, the American-ish team has a fighting chance at owning the best livery of the season already, and this is the first 2019-spec racer to make its public display. 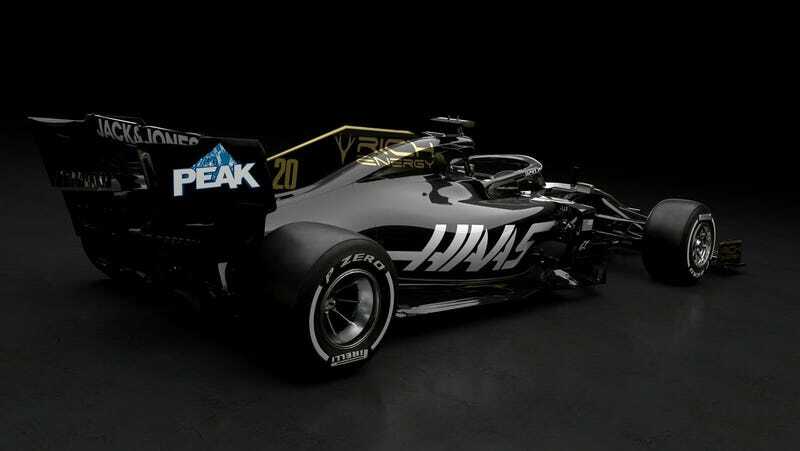 It’s a good thing no Formula One team has ever used a black and gold livery in the past, or it might just be a cheap reproduction of something already deemed iconic. 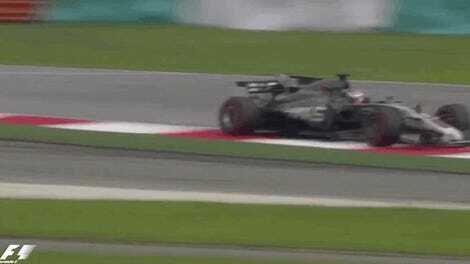 The new VF-19 chassis will again be powered by a Ferrari engine, and the team retains both drivers, Romain Grosjean and Kevin Magnussen, for the third year running. It’s fair to say the team is satisfied with its setup, and will make evolutionary changes rather than revolutionary ones in an effort to climb the F1 teams championship standings. The team quietly finished fifth in the championship points for the 2018 season, marking them the best of the rest after factory Ferrari, Mercedes, and Renault efforts, and big-budget Red Bull. Yeah, your eyes don’t deceive you, the new Haas livery is a play on the old John Players Special livery that has been kicking around the F1 grid since the 1970s. Most recently, the Lotus F1 team ran in these colors (also with Romain Grosjean at the wheel) back in 2015, before the team was purchased by Renault. The team is excited and frankly, so am I. The first race of the season is a little over a month away, and with new aero regulations and Red Bull moving to Honda power, it could be another step up the rung for Haas this year.